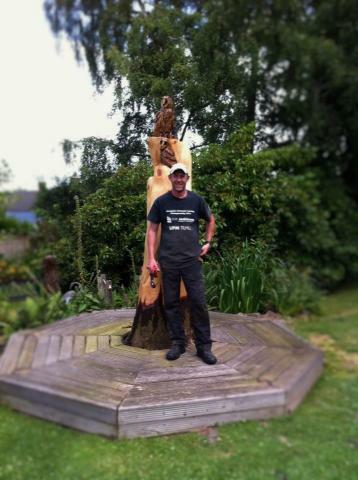 Welcome to Ian Murray Chainsaw Carving/Sculptor. We are a business set up in North Wales where we create works of art from natural resources predominantly timber. "Ian you have a wonderful talent and the bench will most certainly enhance the seafront of Beaumaris for years to come and hopefully the poem will be an inspiration to anyone who reads it and rests awhile to appreciate both it's beauty and the beauty of North Wales."